One of the most common criticisms of the EU during the referendum campaign and afterwards is the lack of democracy at the heart of it. It’s clearly a powerful argument, and a major reason why many voted for the UK to leave in June. But how much truth is there in it – to what extent can the EU be described as an undemocratic organisation? It’s certainly true to say that the EU is a complicated organisation, and looks on the surface quite different to what might commonly be considered a sovereign government. There are seven principal decision-making bodies, but the three main ones, those we hear about most often, are the European Parliament, the European Commission, and the European Council. Let’s examine the democratic claims of each in turn. The European Parliament is made up of the MEPs that are voted for by every member country every five years. MEPs are appointed using proportional representation, so for the UK, their make-up in terms of political parties is quite different to that of the House of Commons – for example, at the time of writing, UKIP have the most MEPs representing the UK, with 24 out of 78. No EU laws or constitutional changes get passed without a majority vote from the European Parliament – so no issues with democracy here. The European Council is made up of the heads of state or government of each member state – so our Prime Minister, the German Chancellor, the French President etc. Obviously, each of these are appointed by democratic elections that take place in each member state according to their own democratic rules. The President of the European Council (a position currently held by former Polish Prime Minister Donald Tusk) is appointed by the Council. Hard to argue with the democratic credentials of this one. The European Commission is the tricky one. This consists of a President (currently Jean-Claude Juncker) and 27 commissioners. The President is nominated by the European Council and approved by the European Parliament. The other 27 commissioners are nominated by the member states in consultation with the President, and elected by the Parliament. 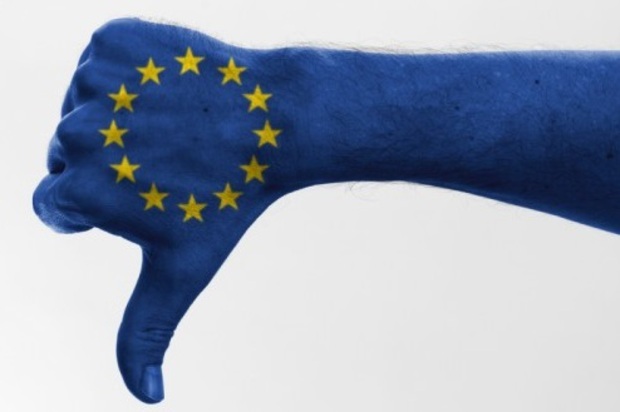 Where most criticism lies is in the power that the European Commission has: they get to propose all laws passed by the EU, which are then voted on by the Council and the Parliament. This perceived excess of power in the hands of a small group of ‘Eurocrats’ is the focus of most criticisms of the lack of democracy in the EU. But let’s just look at how things are done in the UK parliament: we vote (generally once every four years) for a member of parliament to represent us in the House of Commons. We don’t vote for a government – no-one ever asked me whether I wanted Boris Johnson as Foreign Secretary or Liam Fox as Minister for Trade. We don’t even vote directly for a Prime Minister, hence the current incumbent has never been directly voted in. This is in essence no different to the appointment of the European Commission by the directly-elected representatives of the member states. Furthermore, MPs are elected by an unproportional first-past-the-post system, which results currently in the Tory party forming a majority government despite being voted for by just over 25% of the electorate. And let’s not even get into the unelected House of Lords and our utterly undemocratic monarchy. Suddenly, the UK is not looking quite the paragon of democracy that those who criticised the EU might have thought it was. Moreover, decisions taken by the EU, such as on trade deals, require the agreement of every single member state – witness how little Wallonia nearly scuppered the CETA trade deal with Canada. Meanwhile, in the UK, the referendum result is being taken as ‘the will of the people’ despite two of the four regions of the UK voting against it….